I am a firm believer that teaching is an art form and that only the best teachers know how to engage every student, every day. I also believe that a successful class period is often made within the first few minutes of class. This is the type of teacher I strive to be. The state lays out what we must teach, but how we teach is totally up to us. This is where the "hook" comes in. Starting your class in an engaging way is a key component to a successful class period. For many years, I had this all backwards. I would begin class boring my students with loads of facts and figures, then hope to reel them back in with an exciting lab or demonstration. I now understand that what I do in the first 10 minutes of class will determine the success or failure of the rest of the class period. If you can just "hook" your students and get them to buy in to whatever you're selling during those first few minutes of class, they are more likely to follow wherever you may take them for the rest of the class. What can you do to hook your students as soon as they enter your room? First of all, in my opinion, any idle time is wasted time. I like to immediately greet my students and get them working on something. And change it up! The "same old, same old" gets to be a bore. There are certainly some things that need to be routine, so that the students know what to expect to a degree, but how exciting is it for the kids to be looking forward to coming to your class each day just to see how you are going to start your class!?! My students and co-workers can tell you that I am a very structured person. I like order and systems for getting things done efficiently. The things that are "routine" in my classroom are mostly what the students need to do as soon as they enter my classroom, how/where to hand things in, and what to do at the end of each class before leaving. These routines are mostly for my sanity and to keep things organized. I like my classes to reach a point where they pretty much run themselves and I serve as a facilitator. But what I plan for each class between all of those routines is usually a total surprise! Everything has a place in my room. Students have colored hand-in boxes for each class period. They know where the ScienceSaurus books go, the ISN's, the lab equipment, etc... My lab tables have drawers and each top drawer (shared between 2 students) has all of the supplies that they may need throughout a typical class period (2 scissors, 2 glues, erasers, colored pencils, rulers, Post-it pad, grading pens, highlighters, hand-held pencil sharpener, etc...) Everything is located nearby and very convenient for each student to put it back where it came from. Things not being put back "in their place" is one of my biggest pet peeves, so my students quickly learn how NOT to get me upset (although there is always the handful who I swear move supplies just to get my feathers ruffled)! 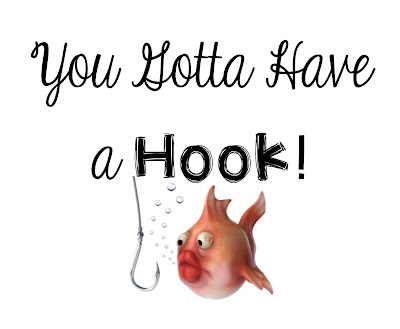 Here is a list of some ideas for ways to "hook" your students at the beginning of class. And as I mentioned before, keep rotating through your hooks. Use Admit Tickets - Hand the tickets out as they leave class and explain that they will have to have "X", "Y", and maybe "Z" on the ticket in order to be admitted to class the following day. It could be as simple as "Write 1 thing you learned from your homework, or learned in class" and "1 thing you have a question about". In addition, let them know that they should be prepared to talk about what they wrote. The next day, stand at the door and collect the admit tickets. Pick 5 that best summarize the content from the homework or from the previous class. Read these aloud to the class and ask questions to clarify understanding. Pick 5 questions to address about the homework or class content. Get the students more involved - after reading each question, have them discuss the question with their "shoulder partner" and then randomly call on students to answer the question. Click HERE to be taken to a generic Admit Ticket on my Teachers Pay Teachers site for only $2. Inner/Outer Circle - before class, post about 10 questions on the board that relate to the homework, previous lesson, or new material to be used as an anticipatory set). Make sure that these questions don't require a simple "yes" or "no" response. You want the questions to stimulate discussions or explanations. Can scientists predict earthquakes? Why or why not? Was the change in yesterday’s experiment a physical or chemical change? What observations do you have to support your answer? Would you rather have mitosis that is out of control or meiosis that is out of control? What is the number one reason that made you choose your answer? Divide your class in half and have half of the students create an outer circle that faces inward. The other students create an inner circle that faces outward. Each student should be facing another student. You stand in the middle of it all and inform them that the person they are facing is their discussion partner. They will only have 30-60 seconds to discuss Question #1 with this person. (Let the control freak that is within you go free! It will be loud and it will be ok! I promise!) When time is up, have the outer circle rotate to their right 1 person (or really go crazy and have them rotate 2 or 3 to the right). :) Continue this until all 10 questions have been discussed. Top 10 - Divide the students into 10 groups Have each group come up with the Top 10 words that relate to or summarize the topic (from the previous night's homework, from yesterday's lesson, etc..). Students should discuss and justify the words to their group members. After all of the groups are done, have each group pick the ONE WORD from their list that is most important and have them write it on the board. No repeated words can be written on the board! When all groups have written their contribution to the class Top 10 list, go through the list, one by one, asking each group to justify or explain why they chose that word. Ask the other groups to raise their hand if they had that word on their list. Would You Rather? - The day before, send students home with instructions to come to class with 3 "Would You Rather" questions written on a piece of paper. Two of the questions should be related to the content being covered in class, while the 3rd question is the student's choice. The next day, as students enter, collect their questions and put them in a bag. If possible, move the student desks to the outer part of the room and have the entire class stand in a circle. Draw one of the papers out of the bag and read one of the questions. If students choose/agree with Option A, have them step to the center of the circle. If they choose/agree with Option B, have them remain where they are. Allow the 2 groups 30 seconds to discuss with each other why they feel the way they do, emphasizing the use of data and observations to support their reasoning. Depending on how animated the kids are and how well you stick to the time frames allowed for discussion, you should be able to get through 20-25 questions in about 10 minutes. Save the questions you don't have time to get to. Would you rather live in an area that is prone to tornadoes or an area that is prone to earthquakes? Would you rather live forever or never feel pain? Would you rather eat only protein or only sucrose? Would you rather be a tree or a rock? Would you rather continuously evolve or stay exactly the same? Would you rather be a physicist or a chemist? Would you rather have the job of your dreams and be broke or hate your job and be rich? Click HERE to be taken directly to my Teachers Pay Teachers store where you can get the "Would You Rather?" handout for your classroom.